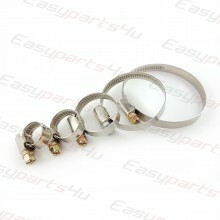 Various sizes and types clamps for hoses. © 2017 Easyparts4U. All Rights Reserved.